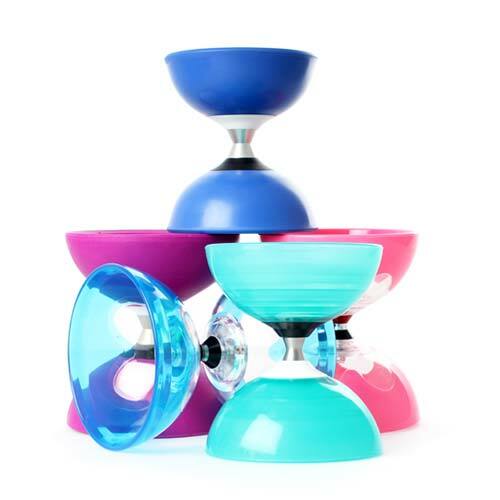 Buy Diabolos - Triple Bearing Diabolo – Cheap Diabolos – Kid's Diablo Sets. 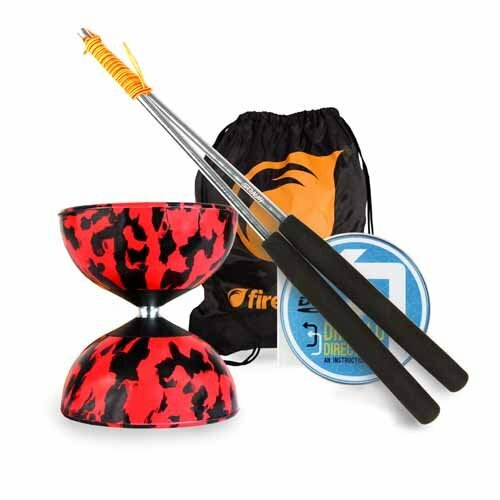 Firetoys is a great place to buy your diabolo. Why? Because we have one of the largest ranges of diabolos anywhere. We also only stock the best quality models from the best manufacturers like Mr Babache, Henry's, Sundia, Taibolo and Juggle Dream. From awesome children's diabolos like Mr Babache's Medium Harlequin and Henry's Jazz to quality triple bearing diabolos like the Juggle Dream Cyclone Quartz and Babache's Evolution2 Tornado and Henry's Free Hub right up to large diabolos famous the world over such as the Mr B Finesse G4 and Henry's Circus. You can also find all the accessories and parts you'll ever need for sale here. 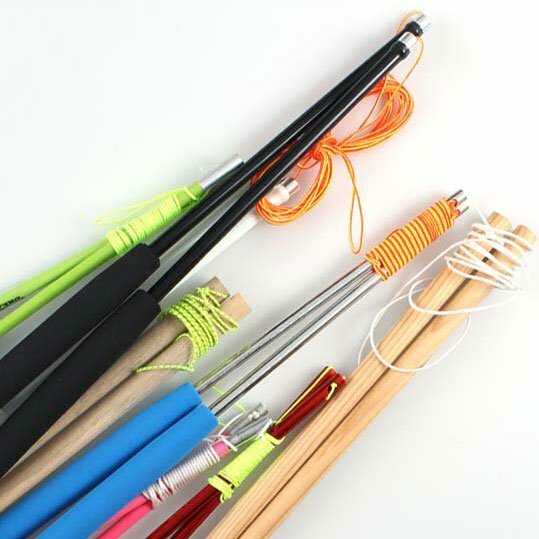 This includes diabolo hand sticks that range from cheap wooden handsticks, through aluminium sticks and on to fibreglass, carbon fibre and even titanium handsticks. You can also buy spare diabolo string from us. 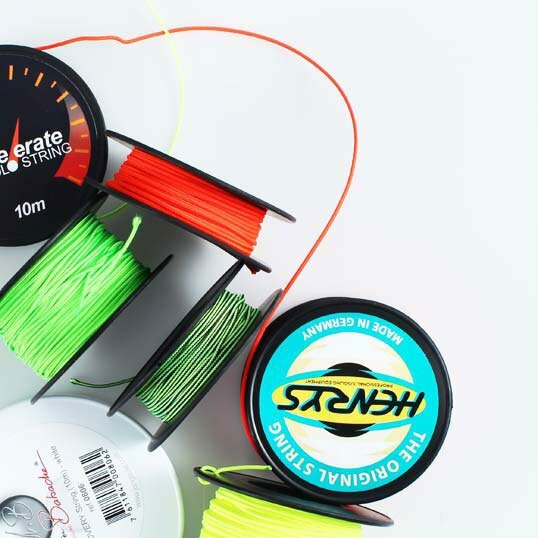 This can come per metre or in reels of 10m, 25m, 70m and 100m. 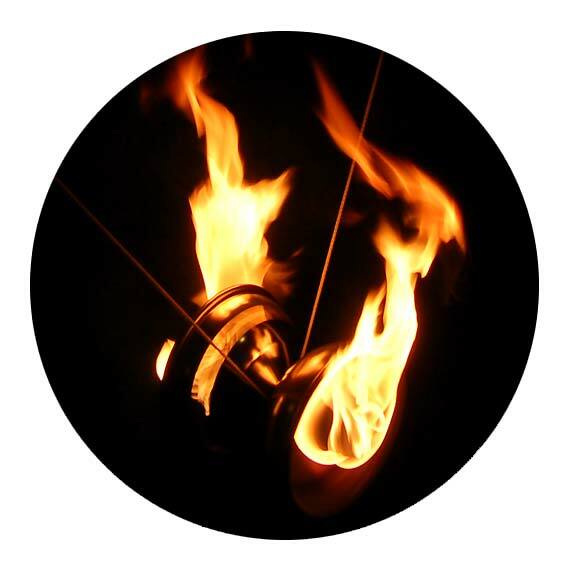 We stock affordable string as well as Henry's diabolo string which is widely regarded as the best in the world. 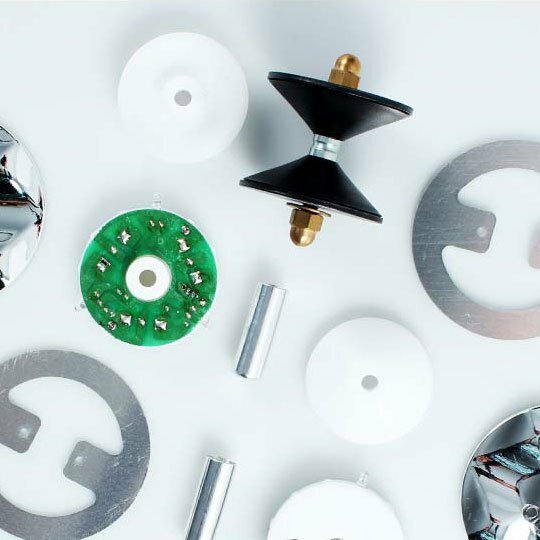 If you don't really know what diabolo or sticks to buy then we've made it easy for you by creating some diabolo sets. 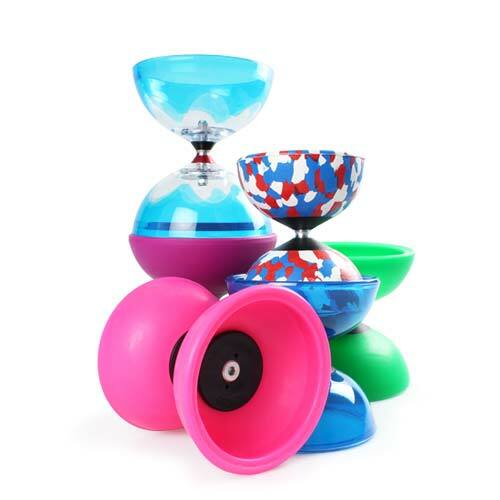 These diabolo packs are aimed at beginners but also feature some more advanced diabolo sets. Buying one of these packs will often mean you get a discount as well! For the adventurous we have fire diabolos. Not so hot, but equally as beautiful are our range of LED glow diabolos. 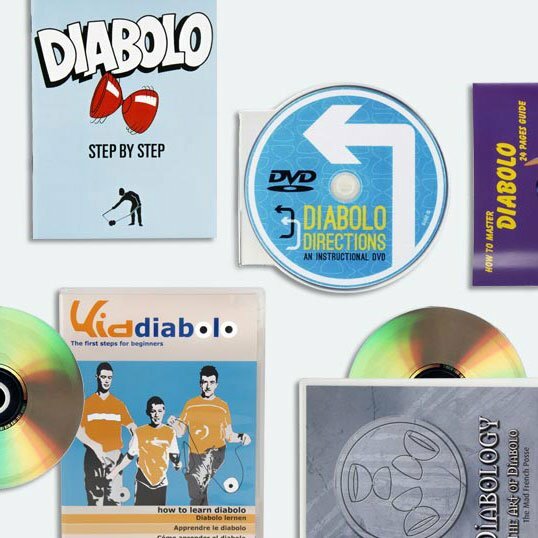 If you need to learn how to do diabolo tricks or even just get the diabolo spinning then our range of instructional books and DVDs is for you. Whatever your level, beginner or expert, we've got media with diabolo lessons for you to learn new tricks whether that's how to throw the diabolo high or to use two or three diabolos at once.